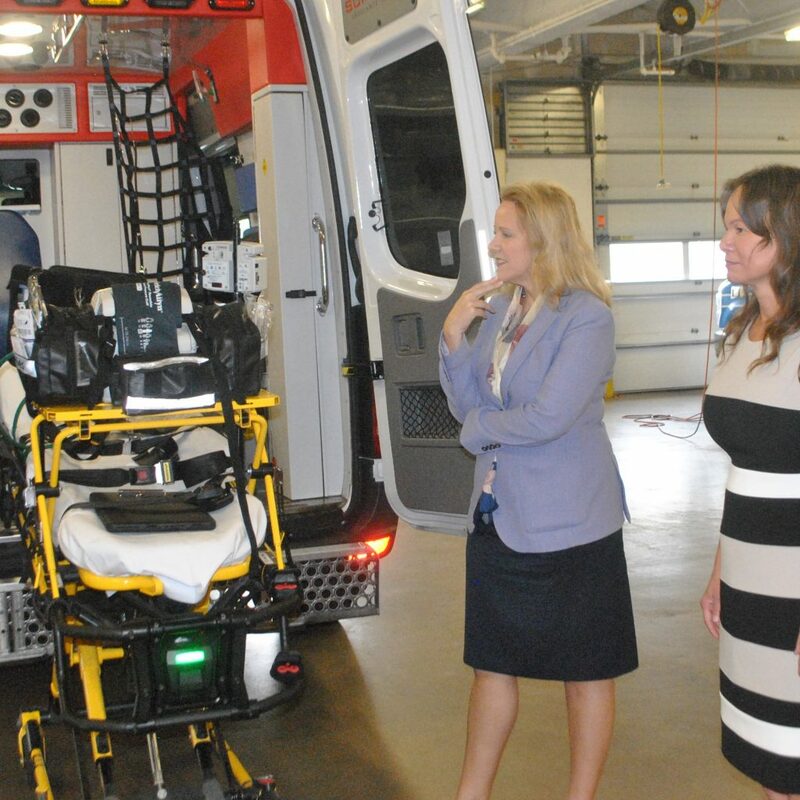 State Representative Deanne Mazzochi (R-Elmhurst) recently toured one of Elmhurst’s fastest growing companies – Superior Air-Ground Ambulance Service, Inc. The tour began in the cutting-edge EMS command center. One of its impressive features is the ability to find the best route for emergency transportation. Based on the information transmitted into the center, the system can help determine the best action in an emergency situation; whether to allot treatment on the spot, or transport a patient to an emergency center. The tour then took the Representative to the ambulance garage where paramedics demonstrated how some of the advanced, ambulance equipment works. Superior was started in 1959 by David and Blanche Hill. It grew from a small family run operation to some 1500 employees. Today, David B. Hill runs the company which he took over from his parents. Superior is headquartered in a large, modern building located at 395 W Lake St. in Elmhurst. “I’m proud to have a state-of-the-art facility in Elmhurst that is dedicated to giving patients the optimal care whatever their transport needs” said Mazzochi following the tour. Because the company is experiencing a shortage of qualified emergency personnel, Superior has developed its own apprenticeship program. “It’s great to see a company is working hard to attract, train and retain top talent for those moments when minutes and seconds count,” added Mazzochi.